In his loneliness Giraffe enlists the help of Pelican to deliver letters past the horizon to the unknown other side. When Pelican eventually arrives back with a letter in return, Giraffe is excited and happy but also curious. With wonderful whimsical yet matter of fact, albeit incorrect logic, Giraffe comes up with some strange ideas of what his letter writer Penguin, would look like. The comical line drawings and easy to read text and short chapters make this a perfect read for newly independent readers. 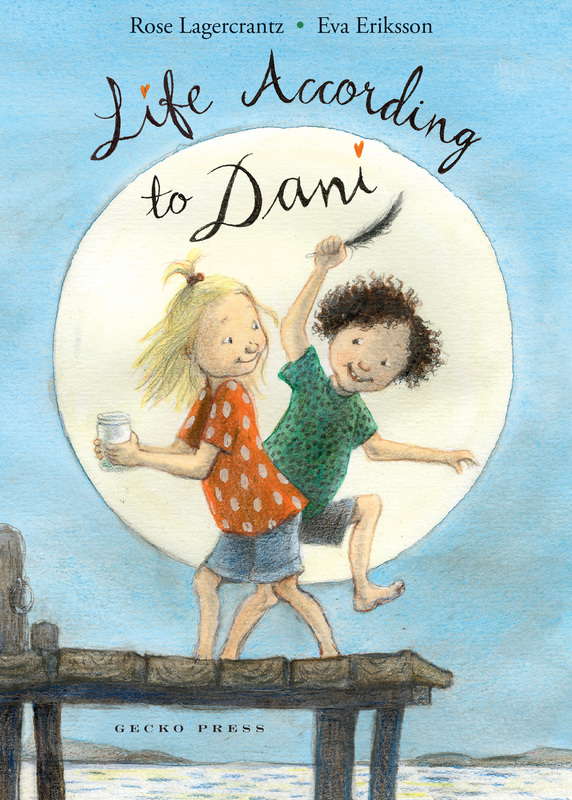 So often today, books stretch the boundaries for children so it is lovely to see a sweet feel-good story about friendship that leaves you smiling. I love the chapter headings too. Just a couple to share. Letter writing might be on the endangered list but Yours Sincerely, Giraffe show us how wonderful this tradition is and how we need to keep it alive. This will make a good tool for teachers to use when looking at writing. 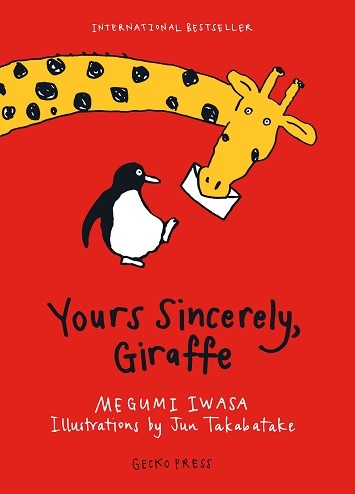 Besides, who could not resist a letter headed Dear Giraffe who is trying to look like a penguin. Published in August, this is one to look out for. I am delighted to see this book is available again, all spruced up and ready for a new audience. 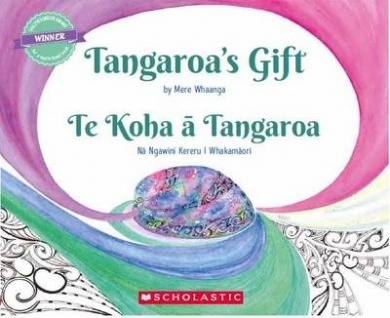 It is a bilingual book which is especially important as we celebrate Te Reo this week. This is a simple but lovely pourquoi tale. It is the myth-like telling of how Paua got his beautiful shiny colours and why they happen to be on the inside of his shell. Lovely use of language adds to the sense of storytelling and the oral traditions of years goneby. This is ideal to read out loud. And he fashioned for Paua a wonderful coat that sparkled and dazzled with its beauty. I also adore the beautiful purples, pinks, deep-sea blues and forest greens as images swirl across each page creating movement and mood. It is more than a simple tale though as it can be used to discuss jealousy, and even bullying but maintaining its under lying message that each of us has beauty within. We all have something that makes us special. That in itself makes this a special book to add to any collection. This book stands out with its bright bold colours. 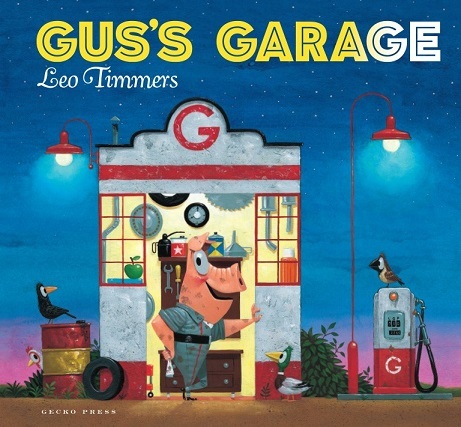 I love the birds with their cheeky faces as they sit either side of Gus’s garage on the cover of the book. They each have an eye on Gus making him the real focus of this fun picture book. Gus is a great thinker and knows just how to solve his friends mechanical problems. All sorts of bits and bobs are used to fix problems as one by one they come to Gus in need of his help. After working hard all day helping others Gus finds he has his own problem to solve which he does just perfectly. Leo Timmers is a writer and illustrator I follow. His work is bright and quirky with so much appeal that it is so easy to become a fan. You will certainly want to check out his other works. A great book to read again and again. I know wee ones will love pointing out the birds as they appear on each page. A delight to read and enjoy.